Hi my names chris. Im ohio born and raised. I like to laugh and smile. I like to travel, see new things and places.. and of course i love to drive. I love cars and trucks and engines. I love the sound of a diesel engine and the sound of a turbo or two spoiling as the truck takes off. At the moment waiting for my driving improve. By June ill have 2 points and by December ill have zero! !! Down to a clean driving record and in my 6month of trucking my first year. This is real interesting. I've been driving a year and a few months and just learned to shift gears. It was like learning to drive and back again. Normally my right foot is dominant but when i switched to a 10spd it was completely different. Now i use my left foot and let off clutch vs pushing in/on throttle with right. Not to mention no throttle needed for backing. I feel like driving the manual makes me a better driver....instead of go, go, go all the time the truck will shift gears for me im more cautious thinking will i be able to get down or in the gears needed fast enough for the situation. I could go on and on about what i like about it! Thanks G-town. Your 59! Doesnt look like it. Im going to stay the year. The new company has nice equipment and new. The new part doesnt matter as much but that its nice amd functioning. They also have the trucks i want to drive. The pay is good and ill get extra for having an endorsement. The haul some hazmat paint and oil. Also the people that seem to work there seem to really value the job and equipment and seem like they are responsible. As least thats the way its portrayed. Current company is great and i definitely think they deserve the year if not more. Thanks i agree with what your are saying. My current company i did not see as perfect. I chose them because i already had alot of info on them and was talking to them before I got my cdl. We were going back n forth on me coming over for over a year to say. Well if your perfect company is indeed perfect I don't see where it would hurt as you will probably be employed there for life. Now, having said that, how confident are you that your perfect company is in fact perfect. My only real problem i see with this company is that they dont hit all 48 which is on my bucket list but the cover the places i really want to go and some ive already been to. Ive done alot of research and the reviews are pretty much the same via internet, youtube, job magazine, trucking forums and the company themselves. The only thing i haven't done is chatted with other drivers, although they have filmed reviews ehh shoulder shrug. I think I've found the perfect company and i almost cant wait to apply or try to work there. Its not just about pay..ive been researching and i like and want just about everything they have to offer! I got about six more months until i have a year at my current company. They're a good company and are treating me well its just i think i found everything im looking for at the moment. Its like boiling inside of me to get there. How bad would it be if i only ended up giving my current company 7 or 8 months? I forgot to mention the driver was younger than me by like two years. I think he said he was 25. Somehow that was a relief...i felt like i hit my little brothers car or truck in this case verses some road veterans ride not that it makes it any better. I called and requested an officer but they were taking forever. So after all the necessary steps i called back and asked if it was okay to leave and they said yes. On an after thought im glad they never made it. Thanks guys. He wasnt in there which may have been good. Sometimes people over react and i didnt know what reaction i was going to get...would he/she want to fight? Bring a gun? Get loud? Get hostile? Talk down on me?? He came as needed by his company. Pretty laid back and calm. I apologized...offered him coffee. He told me about his two younger step brothers and i talked to him on the phone before he arrived which may have helped. I had two cases of pop tarts in the truck waiting to give to family when i get home. (Left overs from a kellogs run). I gave him a case. For hom and his brothers. Turned out pretty well. Going to take better care of me so im sharp and "not let my gaurd down". Yousa don wrecked my truck! Dented intake cracked fender. Could be much worse. Well today i had my first real accident today in a loves parking lot. Ill admit i was a bit exhausted and or fatigued during the time. I was trying to do a 90 in a spot. I hit an older 379 pete no serious damage. I dented the driver side intake and cracked the fender. I was backing and was going get out and look after i pushed the trailer just a bit more when i heard a small crunch hoping it wasn't what i thought it was. Wish i had gon with my gut on this one. Anyways got it all sorted out and took the proper steps. I know i wont get license points but how long do accidents stay on your record? How many csa points do you get? How do you obtain your DAC? Happy : ) and rolling. Just had to share how happy i was because at first at my new company things were a little rocky. Ive been here 3 going on 4 months and was happy to get a sign on bonus and for them to actually sign me on at the cpm thet said they would over the phone. I went to another companies orientation and they said on the phone x amount cpm. Then i hit an e-mail that said 2 cpm less. Then i met my recruiter and the cpm was lowered another 2 cpm. Glad i didnt sign on. At first things were good here the first couple weeks then they were replacing dispatchers and things got real shaky and frustrating. Its crazy i thought about quitting but im not a quitter so i said to myself I'll roll with the punches. Now they got me rolling load to load back to back. The only thing that holds me up is unloading or a load that cant be delivered until a certain time. My planner/dispatcher is sending me loads before im done being unloaded and i love it. As long as i operate my clock good i just keep rolling! Little off topic but one time i had a walmart phone responder lie to me instead of just saying no. She said the power was out and they were closed. I said hmm i wonder how shes using the phone. I had a hunch and it was a difficult lot to try to get in but i saw some truckers parked on a dead end next to the store and there was one spot left. I took it. The best bet is to call ahead. And if someone a manager warns you to leave its best to listen. You dont want to wake up to a ticket or whatever else. Hi guys! I've asked this before but once again Im from Ohio and they have local or city income tax as well as state. I know some states don't do a local income tax. I just wanted to ask those of you that do have that local tax if your employer takes your local tax into account and deducts it from each check or "sends" it in? Or did you do your own withholding, or have them set that withholding up? 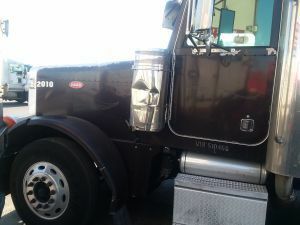 How did trucking change after you got a years experience? Well I'm almost at my one year mark. I've been solo for going on 10 months now. I did three months dedicated and realized what I really wanted out of trucking was adventure, travel, new experiences; not going to Michigan all the time. Nothing against Michigan. Then I went OTR and after a month briefly hauled some reefers on a dedicated Walmart account (which floored me, because even know the money was good it was night driving and dedicated and very very short there and back runs. I have nothing against night driving I do it all the time and am very cooperative. I was just ready to be otr.) Now I'm working on endorsements. I already passed tankers. No doubt some people think trucking is "easy". Its not exactly always hard. I've even gotten comments from friends which really upset me or had me thinking "wow, so that's what you think?" 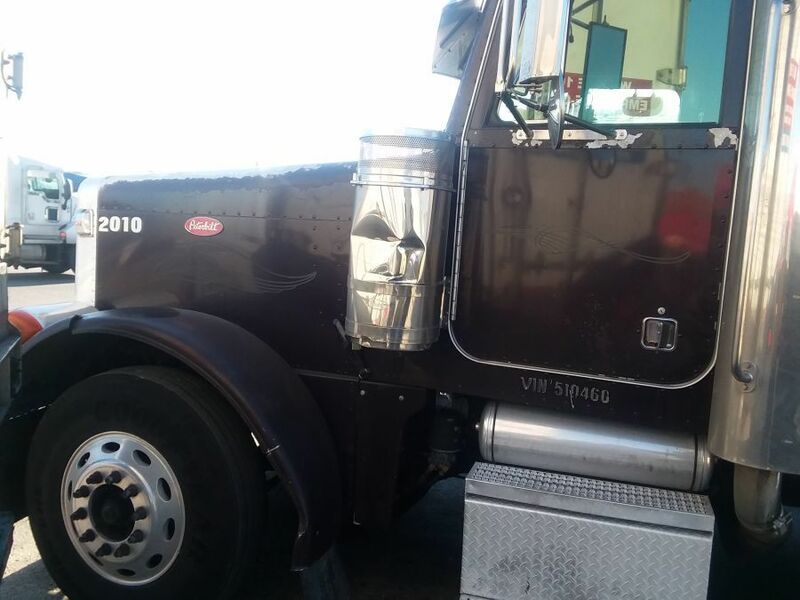 Heres a couple, before I started trucking I told a co worker and friend that I wanted to become a trucker and the response I got was that I just wanted to sit on my behind. That's not even close too why I wanted to started trucking. And then once I started trucking my friend makes a comment that what I do is cake work because I "sit on my behind all day." I can't believe these people. The second friend has a job and literally its in a office...sitting on their behind talking on a phone and doing paperwork. I think they were mad but sitting in a office doesn't come close to driving the big rig. The chair they sit in is stationary, no riding the bull which it sometimes feels like when going through twists and turns bumps, grooves and construction zones. Also the aloneness is real..haha. Man meeting and seeing new people everyday and being in a new state everyday is sometimes crazy. All in all it has gotten easier, in many ways. I've found that even know the gps tells me how to get places the atlas is my friend. I've come to accept the fact the I'm going to be in the way when driving and **** people off. For example I use to not want to upset people when passing so I would get up too close to the truck in front of me and then get over and pass. Now I leave proper room, get over and pass. Navigating cities has become easier too. Its easy to understand that a even number in front of a three digit interstate number means loops back to the interstate and a odd number means it comes to an end but now I see how in different cities that even number will take me around the city if for any reason I don't want or need to go through. So a lot of things have gotten easier I just want to know from the seasoned drivers how things got easier or even better for them? I would really like to bring my bicycle along and seriously need to keep working on weight loss. I've seen a few trucks with a bicycle and rack on the back and am wondering if its custom or something i can buy and have installed. I work for PTL and our fifth wheels are locked in place. They can't be moved so i dont have to worry about that. Any body done this? Im sure fabrication would be cake work but I'd rather something i can buy. Pics? Excited about summer! Worried about winter. For my own good and communication i have bought a cb. Im waiting on the opportunity to take it to someone experienced to help me set it up right. I connected it to the in cab cb antenna connect and so far i can only get channel 6 and its not always that clear. Im thinking the stock antenna isnt that great. The one frghtliner cascadia says is mounted in the roof somewhere. So i also got a mirror mount antenna im going to try but the cable wouldn't go in the connection on the back of the radio. So i may get another cable. As is says I am so excited about this summer. I've been a little over 7 months on the road solo now. Three months dedicated, four months otr with a side of dedicated runs. I just thinking...warm weather, the road and me..me and the road! Haha. It will be my first summer behind the wheel. I remember many summers wanting to go places and being bored at least before i started tinkering with cars. Now its here! On the down side i worry about winter. The main thing that worries me is the mountain states i hit all the time. I go through wv, va, pa all the time. On top of that places semi major or major bridges scare me a little at the thought of winter. I still dont know whether they salt or put that liquid stuff down. I guess ill know when it gets here. Im going to be a safe driver but i keep picturing that major highway pile up that happened on 70 or 80 out west. I even imagine my mileage may decrease just a "pinch" due to needing to go slower.